More people than ever are appreciating the importance of plants in our day to day lives. Whether it's a plant-based diet, clothes made from plants, the wellbeing qualities of plants, or simply a fun shelf of cacti and succulents! The Plant Based Podcast is about anything that can be traced back to plants… with subjects ranging from foraging for medicinal plants and baking with edible flowers, to plant-based body builders and clothes made from bamboo... This is not just another gardening podcast.. this is The Plant Based Podcast! Houseplants are one of the biggest trends in gardening at the moment - they’re taking over! One place that is certainly true is The Plant Den in Norwich. In this episode of The Plant Based Podcast, Michael Perry and Ellen Mary meet Roscoe Gibson-Denney a true ambassador for plants. Roscoe, and his partner Michelle, started The Plant Den, as a tiny treasure chest of a shop in Norwich that is the same size as a garden shed but packed to the ceiling with a huge variety of plants. Since recording the podcast, The Plant Den has become so popular they’ve already had to expand premises! People travel from far and wide to visit their shop, and have even been known to queue down the street when he has an unusual delivery arriving. Roscoe chats about the houseplant trend and discusses his favourite varieties. Good News! The Plant Den can now be found in larger premises on Upper St Giles Street in Norwich. Visit www.theplantbasedpodcast.net where Roscoe reveals 5 houseplants you may not have heard of. Sitting on the banks of the River Thames is a four acre site that is home to more than 5,000 species of plants from around the world. The Chelsea Physic Garden in London is a secret garden originally established by the Apothecaries in order to grow medicinal plants. Nowadays, it’s bursting with edible and useful medicinal plants, and the gardens are open to the public to explore. In this episode of The Plant Based Podcast, Michael Perry and Ellen Mary meet Michael Holland, head of education at the garden, to find out more about the history of the site and to discover the amazing uses of plants for medicinal purposes. Michael talks about how plants can be used in our lives for good, as well as shedding light on plants for herbal medicines and what plants you can use at home to create your own, safe remedies. Visit www.theplantbasedpodcast.net where Michael reveals 5 of the best plants for home remedies. Seedball is on a mission to fill the world with wildflowers whilst saving bees and butterflies! And, they’re starting with your garden. The Plant Based Podcast meets Emily Lambert, co-founder of Seedball, a product that has become incredibly popular in recent years. Emily estimates there are now 2 million Seedballs growing out there! The concept is simple. A ball is made up of a variety of wildflower seed surrounded by clay to protect it, simply scatter the balls and wait for them to grow! Emily talks to The Plant Based Podcast about her love of plants and wildflowers, and how simple steps in the garden can increase biodiversity and help pollinators like bees and butterflies survive. Visit www.theplantbasedpodcast.net where Emily has chosen 5 of her favourite wildflowers for small spaces. It’s probably the most common question vegans face. But one London restaurant is changing that by incorporating creativity, art and technical culinary skill to replicate the tastes and textures of meat but in plant based dishes! In this episode, The Plant Based Podcast visits Plates London, a plant-based restaurant in Shoreditch and our bellies were rumbling! Executive head chef, Kirk Haworth, founded Plates with his sister Keeley to help improve the symptoms he was experiencing after being diagnosed with Lyme disease. His dishes have been refined through Michelin-star techniques, to create taste bud tantalising dishes - all made from plants! The episode tells you how to play with plants and their flavours to help you avoid processed, convenience food and be more conscious of the food you are putting into your body. Visit www.theplantbasedpodcast.net for three exclusive (and delicious) plant-based recipes that Kirk has put together for you to make at home. All made entirely from plants! Plant genetics, boring huh? Not a chance! Emma Howard is as passionate as it gets when it comes to plant genetics and there is nothing boring about it. Did you know some of the most commonly enjoyed plants are actually genetically modified? Would you believe us if we told you that includes Daffodils? It’s true! 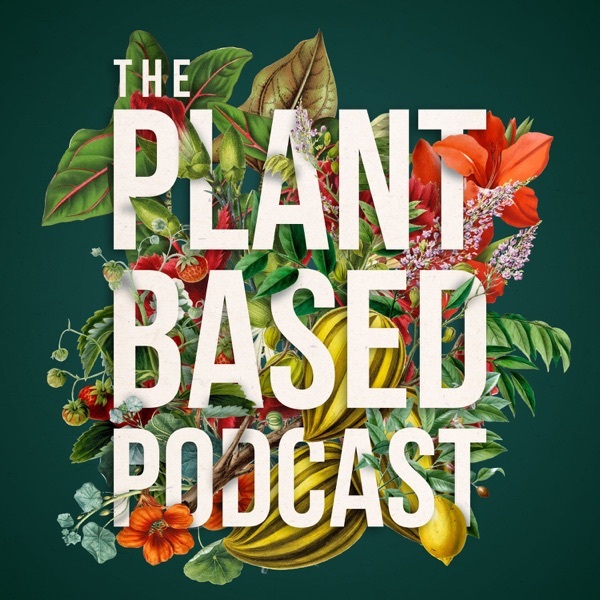 In this episode of The Plant Based Podcast, Emma takes us on an incredibly awesome journey through plant genetics and the future of plants, it’s all rather mesmerising, especially if you love plants! Emma will surprise you and break down some seriously awesome plant studies into language we can all understand in a relaxed and cool tone. After listening to this podcast, you may even change your view on genetically modified plants. This was recorded at Urban Jungle Norfolk where the coffee flows amongst the plants. It’s a vibrant, busy atmosphere so absorb yourself with the clinks of cups and imagine you are sitting in the cafe with us! Visit www.theplantbasedpodcast.net for an exclusive article from Emma on 5 plants that are GMO but you didn't know. Bees are an incredibly important part of our day to day lives. As the world's most important pollinator of food crops, one third of the food we eat every day relies on bees but are we doing enough to help them in our gardens? Beverley Glover of Cambridge Botanic Garden is on a quest to discover that plants that provide the most attractive colours, textures and shapes to bees. We find out which blooms are the best, and worst, at hosting that nectar buffet! We are also surprised to find out how many different types of bees there are, and we ask that all-important question about wasps and their relevance to our gardens! Do you consider bees when choosing plants for your garden? Let us know if this interview has made you re-think certain planting choices. Thanks to Beverley's comprehensive research, it will soon be possible to create a buzz with your planting, in whatever space you have. Visit www.theplantbasedpodcast.net for an exclusive article from Beverley on 5 of the very best plants for bees. The Plant Based Podcast meets Paul Kerton, aka Hench Herbivore, a vegan bodybuilder whose muscles are now entirely plant based! Plant based diets are going to be big in 2019, and Hench Herbivore is the influencer you’ll be seeing a lot more of this year. Paul is a vegan fitness instructor and nutritionist, pumping iron on a whole foods plant based diet. But as a vegan, where does the protein to build muscle come from and the carbohydrates for stamina? Not to mention all of the other vitamins and minerals the human body needs. In this podcast Paul tells us it’s all down to plants and his 100% plant fuelled muscles do a lot of the talking! Hear Paul’s passion for plant based living, his reasons for being vegan, the plants he incorporates in his diet and how it has benefitted his health. Have you considered a plant based diet? Do you want to understand the nutritional benefits that plants can provide us? Then The Plant Based Podcast is for you! It’s an emotional and fun chat all about plants and fitness. With the rise of urban living and climate change, gardeners have a lot to deal with. But, whatever your garden situation or the weather, Liz Browne from the leafy paradise at Urban Jungle Nursery in Norwich explains there are many options to create your own urban jungle. Small space? No problem! Large garden? There are so many plants to choose from! The jungle theme is a big trend in gardening right now and in this episode of The Plant Based podcast Liz suggests some great plants to grow in your own garden at home and we even chat about houseplants being pets! Do you want to create a jungle themed patio? Are you wondering if you can plant your Monstera outside? Then The Plant Based Podcast is for you! Listen in to this interesting, educational and great fun podcast with a passionate, knowledgeable plantswomen. Visit www.theplantbasedpodcast.net for an exclusive article from Liz on 5 plants to get that urban jungle look. The Plant Based Podcast is about anything that can be traced back to plants. We will be chatting worldwide to companies and individuals that are working with- and being creative with- plants! More people than ever are appreciating the importance of plants in our day to day lives. Whether it's a plant-based diet, clothes made from plants, the wellbeing qualities of plants, or simply a fun shelf of cacti and succulents! This is not just another gardening podcast.. this is The Plant Based Podcast!